Bosh Bosh is a Liberian-based non-profit organization. Under the slogan of “Educate, Empower, Inspire,” Bosh Bosh provides educational and employment support for youth and women. As of December 2018, Bosh Bosh has provided scholarships to 20 girls (aged 12 -21, Grade 4 – 12). The scholarships cover all necessary school items, such as bags, uniforms, books, and stationery items in addition to school fees. In the morning, Bosh Bosh scholars go to school in the community, while in the afternoon they receive various kinds of training from Bosh Bosh, related to sewing, HIV/AIDS, hygiene, gender equality, etc. After completing the scholarship programme, they can work for Bosh Bosh. Adult women who have completed the sewing training programme held by Bosh Bosh are also eligible to work there. 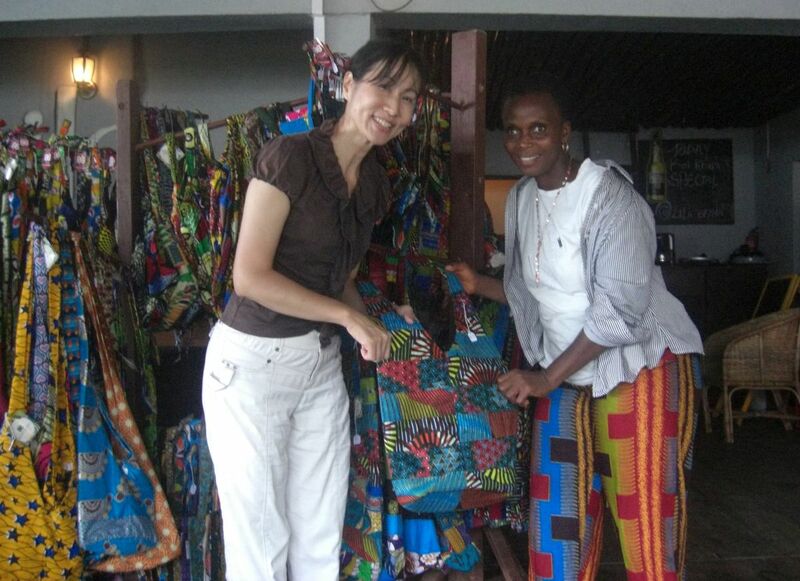 The products that Bosh Bosh scholars and staff make, such as bags, pouches, aprons, accessories, etc. are sold at its own shop, hotels, and handicraft exhibitions in Monrovia, the capital of Liberia.